My previous post came about because Hemant Kumar’s demise coincided with Dev Anand’s birthday. Coincidentally, nine out of ten songs in that post were composed by SD Burman. Today is SD Burman’s birth anniversary. It is also the birth date of another man, who was closely associated with him – lyricist Majrooh Sultanpuri. Majrooh Sultanpuri was one of the famous quartet of lyricists that included Sahir Ludhianvi, Shakeel Badayuni and Shailendra. While Majooh and indeed, SD himself, are worthy of posts of their own – posts for another day – I decided that a shared birthday was too good an opportunity to pass up. Especially since, following his fallout with Sahir Ludhianvi after Pyaasa, SD shared a very close and successful working relationship with Majrooh. 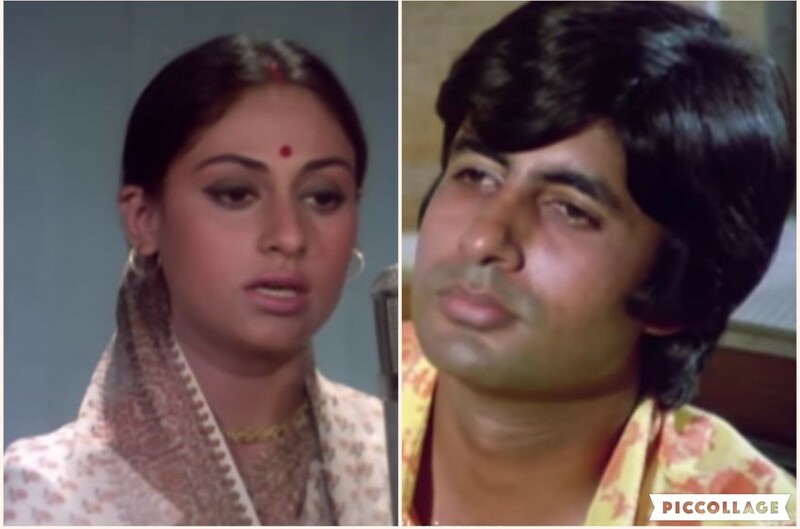 Here, I present a selection of favourite songs that were penned by Majrooh Sultanpuri and set to tune by SD Burman. 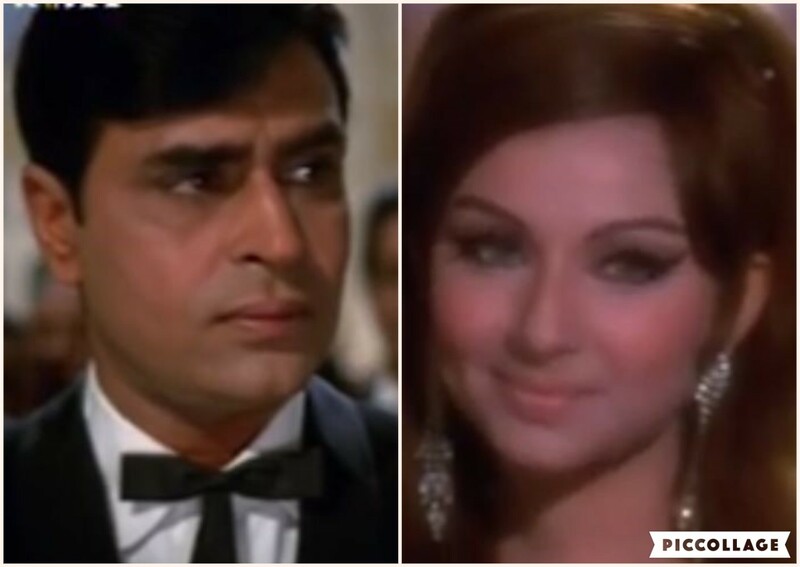 The list has been divided into 'songs picturised on Dev Anand' and their 'songs for other actors' because it so happened that many of the songs on this list were picturised on the actor. Though they had earlier worked together for a few songs (Geeta Dutt’s Woh sapne wali raat milan ki from Pyar (1950) comes to mind), Paying Guest marked the beginning of a closer association, one that would last more than a decade and a half. The heartbreak is mixed with helplessness and yet, hope that she’s mistaken after all. His memories torture her days, and though she’s sure he’s left her for another, she cannot help herself from waiting for him. A young man (Dev Anand) is forced to share closenquarters with a young woman (Kalpana Kartik) because they are masquerading as a married couple. Of course, once safely behind closed doors, the young lady makes it clear that they are definitely not going to share the room. The man is banished to the bathroom where he tries to make himself comfortable in the bathtub. And from within its cold confines, he playfully begs her to come to him for he is alone. Trusting him to stay where he is, the young woman, also playfully, responds, ‘So ja nindiya ka bela hai’. A playful, conversational song that segues into the romantic where he completes her sentences Aaja panchhi akela hai also has a tinge of flirtatiousness. It’s as if SD reserved his best compositions for Navketan; or is it that the Anand brothers knew their music and demanded – and got – the best from the composer? Whichever it is, the combination of the banner and composer gave us some of the best film scores from the golden period. One of my favourite Asha Bhosle solos, this song has made an appearance on my blog before. It’ beautifully sung, and I love the little riffs of melody – how nothing seems to really follow the ‘rules’; the music is ‘cut’ when least expected. I don’t know what the technical term is, but the lines are all in different metres. And Asha drops her voice from the higher registers – Muhobath ki ijaazat hai toh chup kyun rahiye job hi chaahe kahiye – to the lower Raat akeli hai – pause – buhj gaye diye, with consummate ease. SD’s music complements that, the notes soft and seductive rising to those exuberant high notes before lapsing into soft sighs. A very young Tanuja, trying hard to seduce an older man (Dev Anand) with whom she’s infatuated, gamely exhorts him to stay back for the night for she loves him, even if he does not reciprocate. Implicit in those words is a promise of something more. The guitar, the percussion, the slow seductive movements of a bar dancer (Sheila Vaz) who seems impelled to move to the melody, and Manna Dey’s voice, which seduces the listener, not just on screen but off it as well – Manzil had some wonderful songs, and rather strangely, three different voices for the hero. Hum dum se gaye begins with a conversation and snatches of the song being recited in the background in a rather sombre mood. Those words change mood when the actual song begins, turning what's a melancholy emotion into a lighter frothier creation. Tone deaf as I am, I ended up recognising the tune from one of the antaras of Dene wala jab bhi deta from Funtoosh (1956) – Apna bhi ghar is jahaan mein. The film was the last film that Lata Mangeshkar and SD Burman would work on together for some time, their rift having begun with Miss India. Tumhi toh kaho ye koyi baat hai! According to authors Anirudha Bhattacharya and Balaji Vittal, this was inspired by Tennessee Ford’s 16 Tons, but SD Indianised it enough to make it his own. Not only that, it showed how he could do more than just compose songs; he could adapt his melodies to serve the narrative. There are some loris that I absolutely love – this is one of them. Majrooh keeps his lyrics simple yet comforting, while SD intuitively composes a melody with music that’s barely there. Geeta’s voice is soothing as she sings for a young mother who’s singing her baby to sleep, her voice carrying over to the next room where a lower-caste orphan, unwillingly ‘adopted’ by the young couple, suddenly stops wailing as the maternal affection washes over her as well. Majrooh’s words are sweetly ironical, for one of the two babies who are soothed by the lullaby is certainly not ‘naajon ki hai pali’. Bewaqoof was an IS Johar film that he launched immediately after his BAFTA nomination for Harry Black and the Tiger. The film sounds like one of Nasir Hussain’s plots with babies interchanged at birth (or not), and the imposter laying claim to the inheritance. The film may not have been a success even with Kishore Kumar’s on-screen antics, but the songs were delightful. Tu mi piaci cara is marred only by Majrooh mistaking ‘Grazia’ (grace) for ‘Grazie’ (thank you) and Kishore’s mispronunciation of ‘Grazia’ as ‘Garcia’. This film also includes the comical Arre haan dildaar (Manna Dey, Shamshad Begum) picturised on IS Johar and Krishnakumari. The singers’ vocal calisthenics – singing the Hindi lyrics in various accents: Bengali, Tamil and Sinhalese as the listeners keep changing radio stations - are reflected in the pair’s facial contortions. According to Bhattacharjee and Vittal, the bamboo flute has a prominent presence in the score of this film. These, then, are my choices of the moment that showcase the creative collaboration of two talented men. What would yours be? Feel free to add them to the comments.